In these days of endless band reformations, avalanches of reissues and shamelessly repetitious ‘creativity’, too many artists are willing to sign away their soul for a little extra time on the career clock. Too many of them see artistic expression not as an end in itself, but as a shortcut to celebrity and are obsessed with their destination, rather than engaged by the journey. Too few of them, frankly, are like Underworld. An incredible 27 years after their birth in Romford, Essex as a trio and 15 years after they pressed up their debut single (500 copies of the Balearic twofer, ‘Mother Earth’/‘The Hump’), Rick Smith and Karl Hyde are still enjoying the ride, grinning like kids as new vistas unfold before them. It’s been a long and exhilarating trip – and it’s not over yet. At its peak, the landscape of UK dance music was changing quicker than you could say ‘white label’, but a few features were reassuringly ever present – one of them was Underworld. What distinguished them was their ability to instil a deep soulfulness and empathetic humanity into even the most anthemic club banger. To that end, they fused together elements of techno, dub, trance, Krautrock, drum ’n’ bass, ambient house and even blues, complementing and contrasting not only sounds, but emotions, too, tying them together with Hyde’s frequently prescient, often opaque but always strikingly poetic lyrics. The colossal ‘Born Slippy’ thus packed a heart-rending existential ache along with that thrilling, jackhammer pulse and – immortalised as it was in Danny Boyle’s Zeitgeist-busting movie ‘Trainspotting’ – became a soundtrack for a generation. Small wonder it’s long since passed out of Underworld’s possession and entered the canon of British folk music. In 2002 ¬– following the departure of DJ Darren Emerson and the release of their live LP/DVD, ‘Everything, Everything’ –Underworld delivered their first LP as a duo, ‘A Hundred Days Off’, which spawned the Ibizan track of that summer, the flickering and luminously lovely ‘Two Months Off’. A year later, DMC Records engaged Smith and Hyde to curate one of their ‘Back To Mine’ compilations and the pair treated their loving public to a selected anthology (‘Underworld 1992-2002’). Then, it all went quiet in the Underworld camp. At least, that’s what it might have seemed like to the inattentive listener. In fact, the very opposite was true. If there’s a single explanation for Underworld’s longevity and fecund creativity, it’s their appetite for change and, over the past four years, they’ve been busy breaking acres of fresh artistic ground, much of it in cyberspace. In November 2005, Smith and Hyde launched their digital ‘Riverrun’ project, delivering on-line (as three separate works to date) brand new music direct to their fans, thus short-circuiting the relentless write/record/tour/promote system and allowing them to respond much quicker to their creative moods. They also started broadcasting a web-only radio show – inspired by their time spent sitting in for John Peel at the BBC in 2004, while he was away on the holiday from which he tragically never returned – and have been looking at making content for television. Last year, Underworld produced a four-hour show live from Frankfurt’s Cocoon club with Sven Väth, the first of what they hope will be many broadcasts. Underworld’s activity has been by no means just virtual, however. In 2006, they worked with fêted film score composer, producer and orchestral arranger Gabriel Yared on the soundtrack to the Anthony Minghella movie, ‘Breaking And Entering’, and this year co-scored (with John Murphy) old mate Danny Boyle’s latest, ‘Sunshine’. It’s this work that feeds into the pair’s brand new work, their long-awaited, fifth studio album, ‘Oblivion With Bells’. A soulful and contemplative, yet typically uplifting record, it’s built on a more intimate scale than previous Underworld efforts and features sculptural orchestration, some ambient soundscaping and – encouraged by their work with Yared – increased live instrumental input (including marimba playing of Larry Mullen Jr of U2 on ‘Boy, Boy, Boy’). Built from a vast palette of pieces they’ve been amassing since 2003, it reflects the stylistic promiscuity that always marked Underworld out from the pack, recalling Kraftwerk, Erik Satie, Can, Angelo Badalamenti, Laurie Anderson, Ralph Vaughan Williams, The Last Poets, Eno, Phillip Glass and musique concrète composers such as Pierre Boulez. It’s definitely Underworld, but it’s Underworld with a twist. Thus, the forthcoming single and album opener ‘Crocodile’ is Underworld, simply as good as they get. ‘Ring Road’ sees Hyde off on one of his famous psycho-geographic jaunts (this one around Romford, on St George’s Day), marking time with his compelling word rhythms, while the treated found sounds in ‘Cuddle Bunny Vs Celtic Villages’ conjure a decidedly non-cuddly, almost menacing atmosphere. The lusciously lowering ‘Beautiful Burnout’ features Underworld’s trademark synth swathes and swells with a somehow doomed beauty, but the minimal ‘Holding The Moth’ boasts such a bass-y spring it practically bounces clean off the plastic. ‘Glam Bucket’, meanwhile, shimmers like a sheet of liquid crystal and ‘Best Mamgu Ever’ offers a sliver of downbeat, Balearic bliss at the album’s close. On that score, mission comprehensively accomplished. 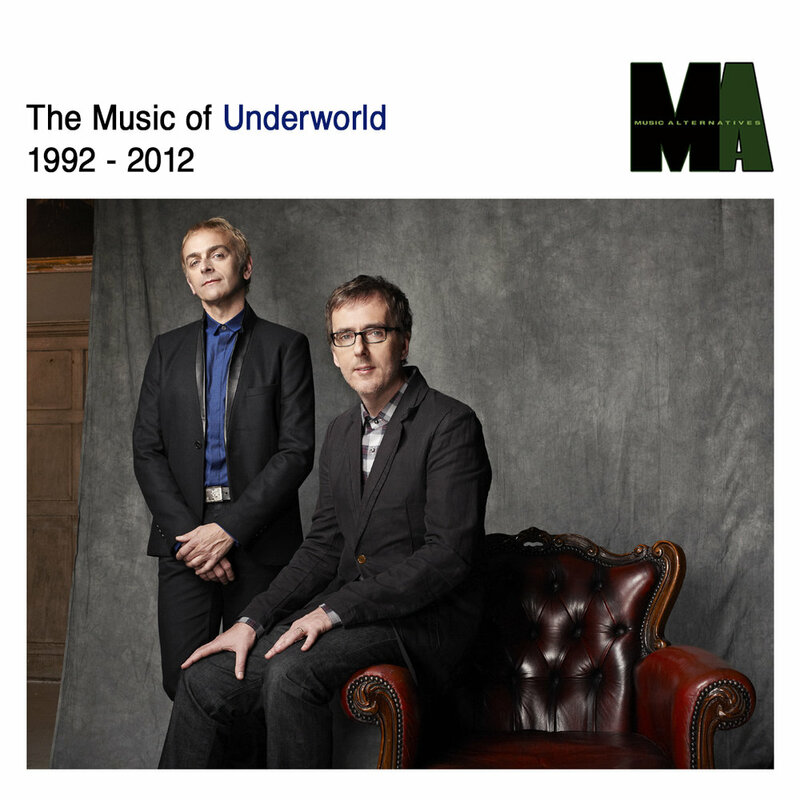 Despite its slyly humorous title (lifted from the track ‘Faxed Invitation’), ‘Oblivion With Bells’ is conclusive proof that Underworld were never in any danger of being forgotten. That sound you hear is Karl Hyde and Rick Smith ringing in the new. Again.